Study Abroad / Meet Our Spring 2016 Study Abroad Ambassadors! 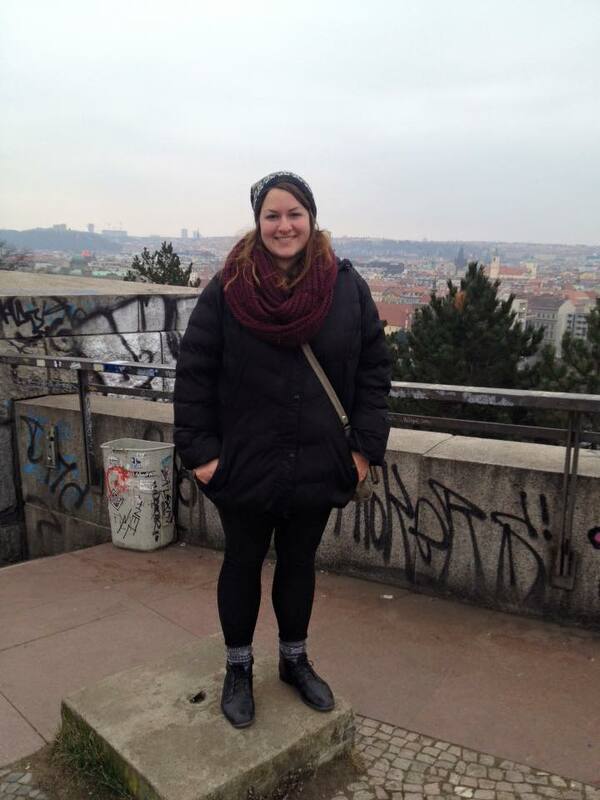 Meet Our Spring 2016 Study Abroad Ambassadors! 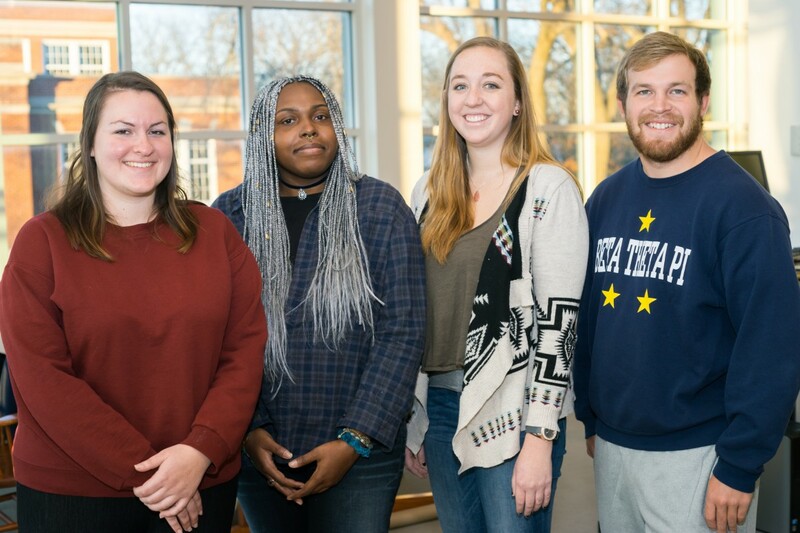 Study Abroad Ambassadors are students who have recently studied abroad and are eager to share their experience, wisdom and advice with prospective study abroad students. If you need information about a particular country, program or have concerns about traveling to a new place feel free to contact an Ambassador! Meet the Fall 2015 ambassadors! 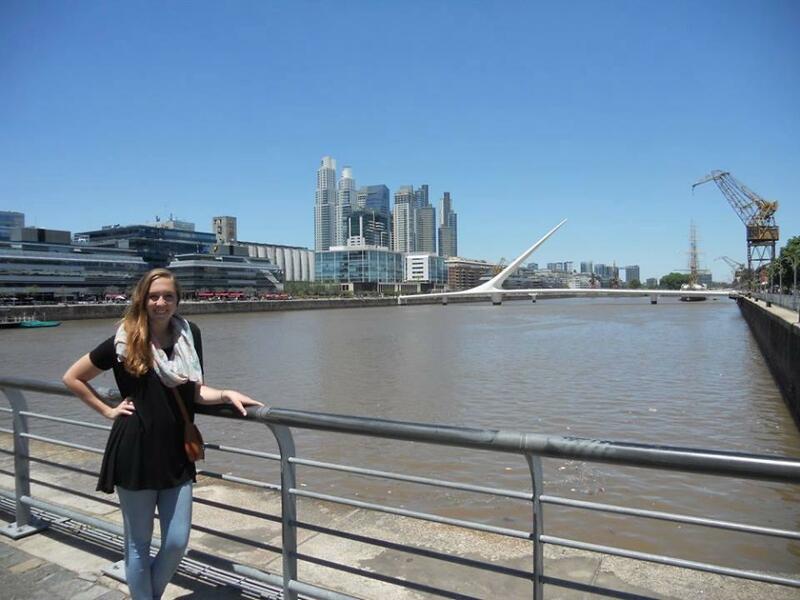 They studied abroad during the Spring 2015 semester. 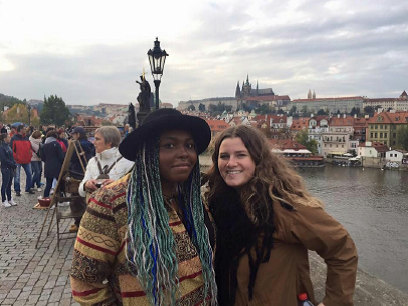 Why you decided to study abroad: I’ve always wanted to travel internationally so when I found this program in Prague that I could afford I took it as a sign I should go. 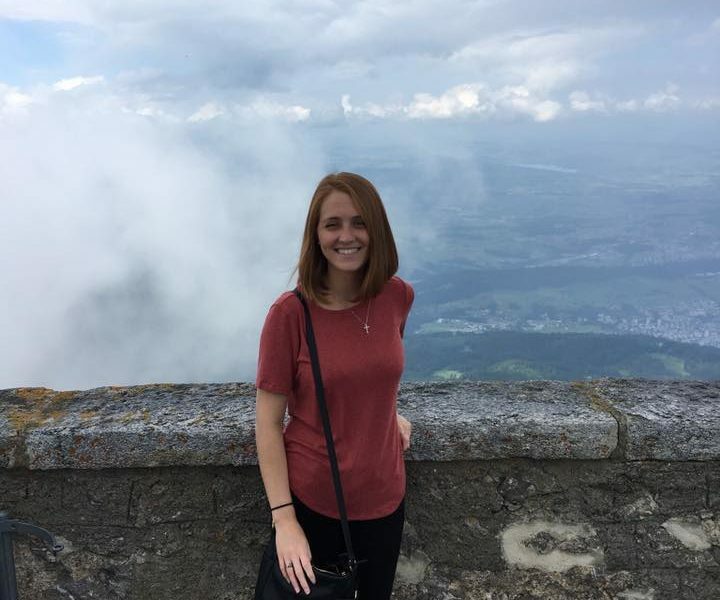 The highlight of your study abroad trip: The highlight of my study abroad trip was being able to travel to so many different countries while I was abroad. I traveled to Poland, Hungary, the Netherlands, and Greece. Best piece of advice that you received while you were abroad or that you have for people going abroad: Don’t worry about missing out on events back home, you’ll be having the time of your life so it won’t seem like your missing out on anything at all. 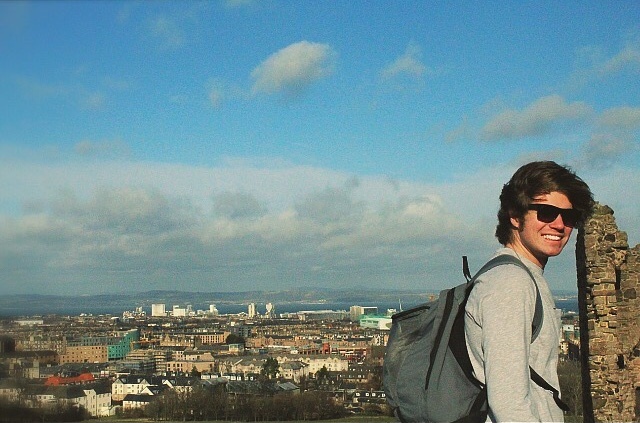 How will you apply your study abroad experiences in the future: Studying abroad was truly amazing and allowed me to experience a different part of the world. 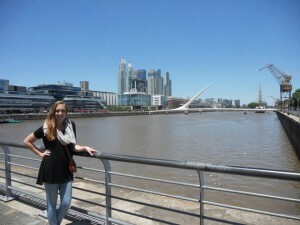 I had some of the best times of my life while I was meeting new people, eating new foods, and seeing beautiful sights. I’ll never forget these memories and in the future I can’t wait to travel again! Post-graduate plans: I would like to apply for the Peace Corp and eventually go back to school for a Master’s in Social Work. Why you decided to study abroad: I decided to study abroad because I have always had the desire to explore past the United States. I also wanted to be completely immersed in a Spanish-speaking environment and culture to get a better understanding of the language. 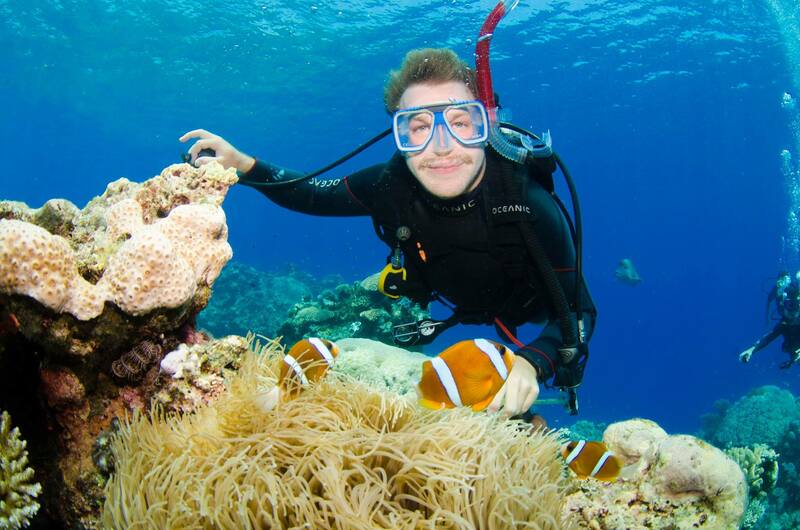 The highlight of your study abroad trip: The highlight of my study abroad trip was being able to ride horseback through the Andes Mountains or being able to ride a speedboat through the Iguaçu waterfalls alongside the coast of Brazil. Your favorite quote from abroad: “Aunque fue una experiencia mala, fue una experiencia” which translates to, “even though it was a bad experience, it’s an experience”. My house mom, Viviana, told me this throughout my trip. It helped to change my perspective on many things. Even when bad things happened on my incredible trip, this quote helped me to change my perspective, focus on finding silver linings in unfortunate circumstances and to learn from my mistakes. Best piece of advice that you received while you were abroad or that you have for people going abroad: Be prepared to have an open mind! Living in a new country can come with lots of surprises and it’s very important to be able to adapt and be flexible to the traditions of people around you. What kind of skills did you learn abroad? I learned to have an open mind and be accepting of others and their ways of life. I also learned how important it is to step out of your comfort zone when using another language. The only way to learn is to practice! I gained skills in traveling, being safe as a tourist in a foreign country, the most efficient ways to travel, etc. Most importantly, I gained a worldly experience that will impact my life forever. What kind of issues (political, cultural, etc.) did you experience while living in a new culture (specific events, cultural practices, etc. ): The Republic of Argentina elected a new president while I was studying abroad. I was witness to various peaceful protests of working class members in opposition to their newly elected president, President Macri. I also was able to learn about their voting system, which is different from ours in many ways. For example, voting is mandatory in Argentina. Being present for the presidential elections was very informative. How will you apply your study abroad experiences in the future: In the future, I will be more aware that there is so much more happening in the world outside of Missouri. I also hope to use my knowledge of the Spanish language in my post-graduate career. What was your biggest concern before going and what advice do you have for prospective study abroad students that may have the same concern as you do: My biggest concern before studying abroad was that I would not be able to fit in to the culture because I wasn’t fluent in the language they speak. I would tell prospective study abroad students that concerned about this issue to not be hard on yourself. Speaking a different language is hard and it is easy to get discouraged. However, the only way to get better is to practice and not give up! Post-graduate plans: After graduation, I hope to find a career in which I can use both my Justice Systems major and Spanish minor. The ideal career would be working with Latin-American immigrants to make them feel welcome in our country. 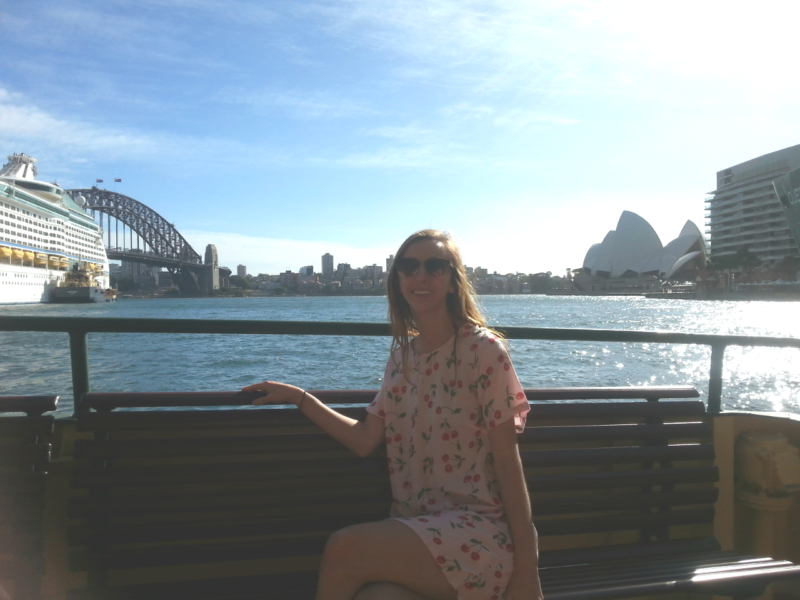 Why you decided to study abroad: I wanted the chance to travel Australia and grow as a person. Best piece of advice that you received while you were abroad or that you have for people going abroad: Go somewhere every chance you get. It doesn’t have to be far away, just get out and explore. You never know when you’ll have another chance to be where you’re studying. What (kind of skills) did you learn abroad: I learned to plan trips, be independent, budget money, and to respectfully adapt to the culture of another country. What kind of issues (political, cultural, etc.) did you experience while living in a new culture (specific events, cultural practices, etc. ): Australia is very similar to the United States culturally. How will you apply your study abroad experiences in the future: I will be confident while traveling because I know my experiences have prepared well. In situations where individuals may few people, I will be open and understanding because I have been in that situation and know the struggle. What was your biggest concern before going and what advice to you have for prospective study abroad students that may have the same concern as you: Money was my biggest concern. I was comfortable with traveling and being on my own but limiting my experiences because of a lack of funding caused me to worry. What kind of issues (political, cultural, etc.) did you experience while living in a new culture (specific events, cultural practices, etc. ): When I was in Taiwan there was a student led protest sitin against the secretiveness of the Taiwanese government signing over more land for businesses from China to enter into Taiwan and in Prague I was surrounded by many people who lived in post Soviet countries and the way they’re raised to present themselves and not question any of their authority is heavily leaned on in those countries. Also, it’s very likely you’ll be required to take some sort of cultural class on the history of the country you’re studying in while you’re there so you learn a lot about the region by tying in your explorations with what you’re learning in class. How will you apply your study abroad experiences in the future: Well, I’ll always carry the memories I’ve made abroad with me and I think some of the lessons I learned and the different kinds of people I met can help to make me a more patient and understanding person.